Since the explosion of online shopping there has been an ever-growing belief that brick-and-mortar stores are soon to become obsolete. As of late there has been various stories of “top-tier” companies closing down their physical locations due to the fact that it has been deemed no longer financially viable to keep the doors open. However, research from the National Retail Foundation indicates that this may not be the end-of-days for the brick-and-mortar stores but more so of a significant shift in the type of experience individuals are looking for when shopping at a physical location. To elaborate, the National Retail Foundation reported that 2018 will see a net growth of over 2,000 stores nationwide. Additionally, the NRF has determined that 2018 will see an overall growth in retail sales of roughly 4.5% year-over-year. A year-over-year growth of 4.5% is considerably high for an industry that is supposedly dying out. Furthermore, the underlying struggles for many brick-and-mortar stores does not necessarily lie within the retailer-to-consumer relationship, but more so with the relationship between the brands and the retailers. In this archaic relationship, breaking into a brick-and-mortar store can be nearly impossible for brands. The time and money spent acquiring assets, making lease payments and running day-to-day logistics can be overwhelming and costly. Additionally, with the significant growth of technology of the past several decades it has allowed brands to sell direct to consumers and therefore cutting the proverbial middle man completely out of the equation. Therefore, this stagnant retail model will continue to suffer until it evolves to serve the current needs of not just the consumers but the actual brands as well. Ultimately, by ensuring businesses have the necessary tools to; take advantage of smart technology, engage their community and empower brands to build satisfying customer experiences, much of the risk that comes with owning a brick-and-mortar location can be mitigated. With that said, if you are looking to get into the brick-and-mortar realm here are a couple things you will need to consider in order to be successful. As it is in most aspects of life, finding individuals or organizations that will help your business succeed are pivotal. In many areas there are organizations like the Chamber of Commerce, local and/or industrial specific associations and networking groups that can provide a great deal of support and help to get the word out about your business. Another aspect of community involvement is giving back. Rightfully so, consumers have become more interested with the social consciousness of the companies they invest in. Therefore, finding a cause to volunteer your time for or donate your money to can resonate with your community and ultimately generate more visibility within your local or regional area. In today’s day-in-age standing apart from the competition has become even more difficult than ever before. Social media and the increased connectability that smart phones present has allowed even the smallest of companies to generate an ample following and highlight their specified niche. Thus, creating online content with a focus on quality imagery/videography can go a great deal further and set you apart from the competition. Staying attentive to customers on the floor and ensuring customers are able to get through checkout lines quickly and efficiently can dramatically increase the ability to turn profit. To elaborate, a study done by the NRF found that “If customers see a product they like on the shelf but the specific size or color they want isn’t physically in front of them, 48 percent of people won’t ask for help.” Additionally, this same study found that if individuals believe they may have to wait in line for more than seven minutes, 79 percent of customers will forego their purchase even with the items in hand. There is an array of apps out there that will assist you in almost every facet of the time-management aspect of your business. In fact, websites like fin.com provide actual virtual assistance who will do things like order supplies and assist in setting up appointments. Utilizing the full potential of tools such as Quickbooks and Squareup can be extreme time-savers for things like point-of-sale operations and aid in the accurate tracking of financial transactions. By taking full advantage of these technologies it allows you to focus more on building relationships with brands and customers alike. 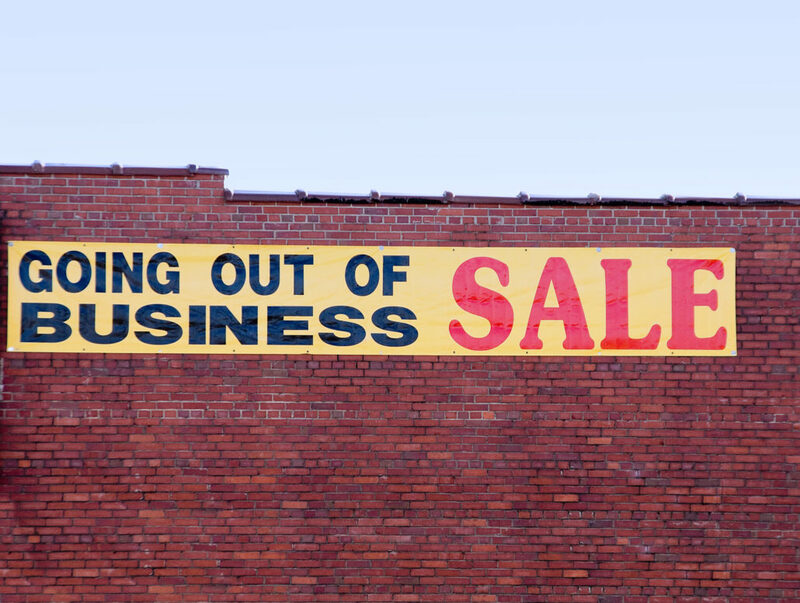 At least for now, the idea of a retail apocalypse is a fallacy that can be widely refuted, especially if the sector were to re-innovate the brand-to-retail and brand-to-consumer relationships. As for your personal brick-and-mortar business, by implementing some of the a fore mentioned action items, you can greatly enhance your ability to increase in-store sales and ultimately increase the overall efficiency of your business.